4-5 is: Ain't Gonna Miss U When U're Gone 5:59 Not "Same Page Different Book"
4-6 is: Screwdriver Remix 6:44 Not "Ain't Gonna Miss U When U're Gone"
4-7 is: Same Page Different Book 5:12 Not "Screwdriver Remix"
Tracks 3-4 to 3-11 are the tracks of a continuous medley Prince recorded for a Versace fashion show - on the event itself another edit was used (available on 'WOW!'). On this release the medley appears with gaps: the original duration - without gaps - is 15:45. Track 3-4 is an instrumental from the 'Memoirs Of A Geisha' Soundtrack. It was used for shows on the 'Támar Live' tour and some one-off performances in 2006. Track 3-5 is a short guitar coda based on Judy Garland - Dear Mr. Gable: You Made Me Love You / Over The Rainbow. Tracks 3-13 to 4-15 were streamed and/or sold online on various platforms. Track 4-14 is the initial version of 'Da Bourgeoisie' without horns. 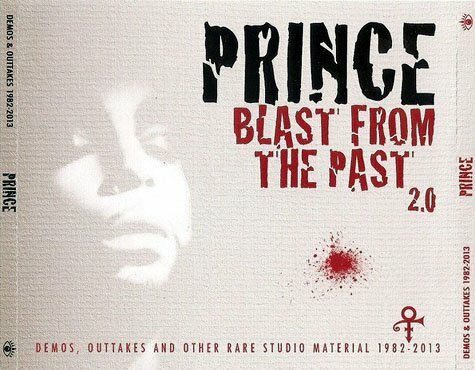 Includes a 16 page booklet with track information copied almost verbatim from the PrinceVault website.